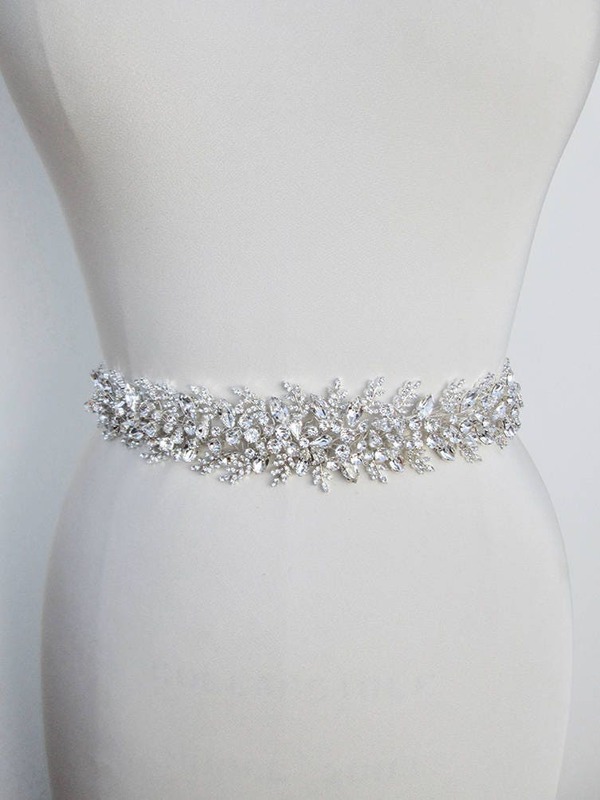 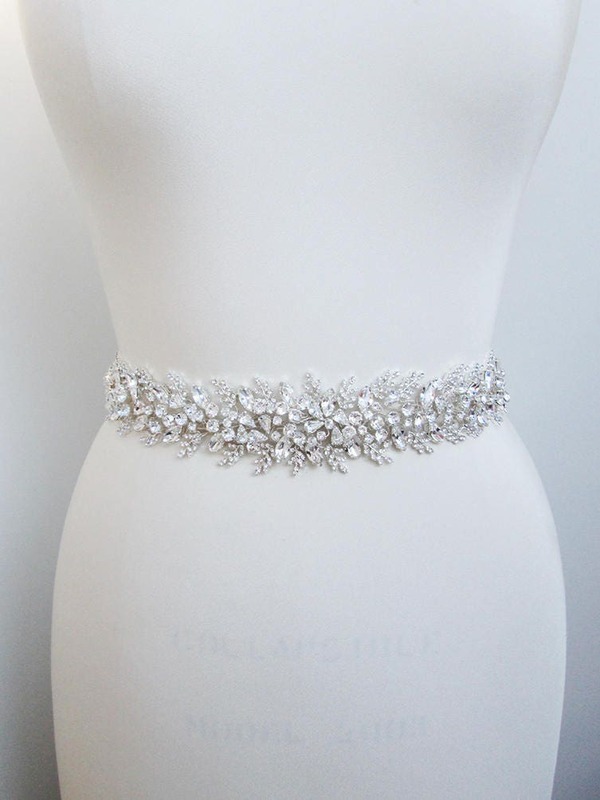 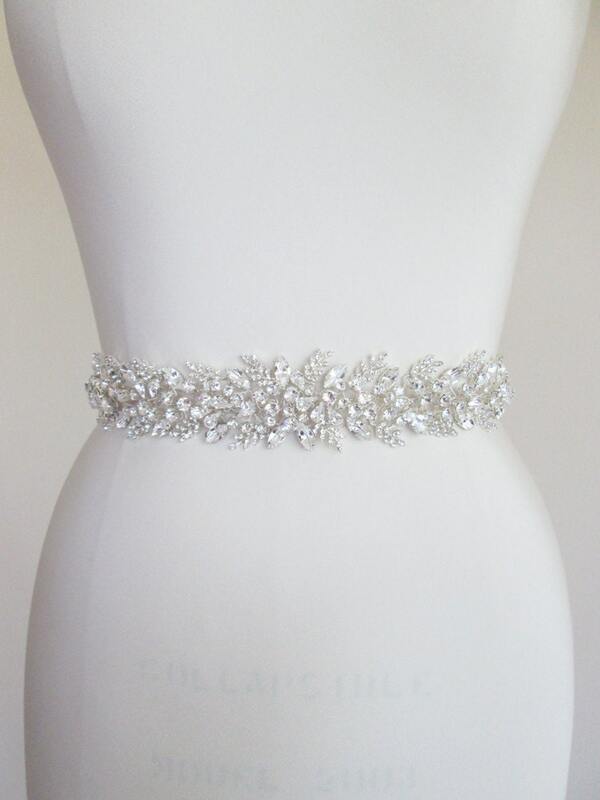 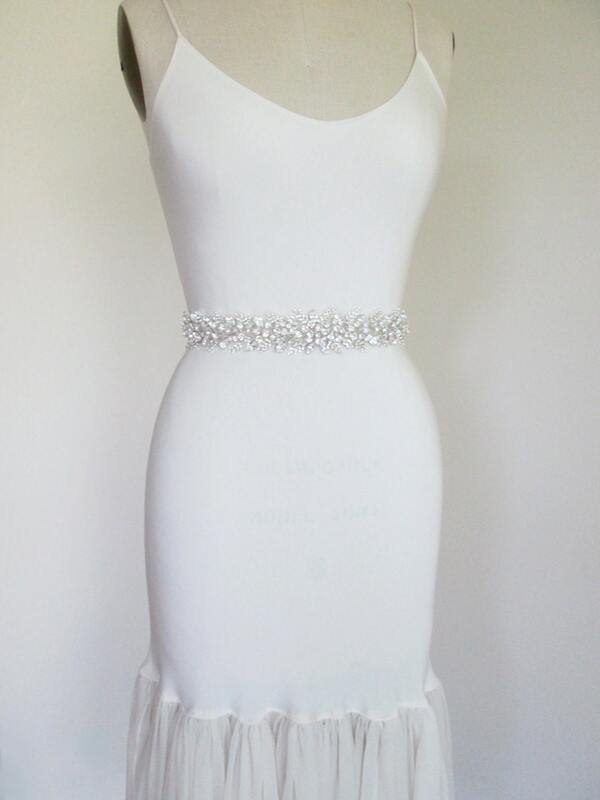 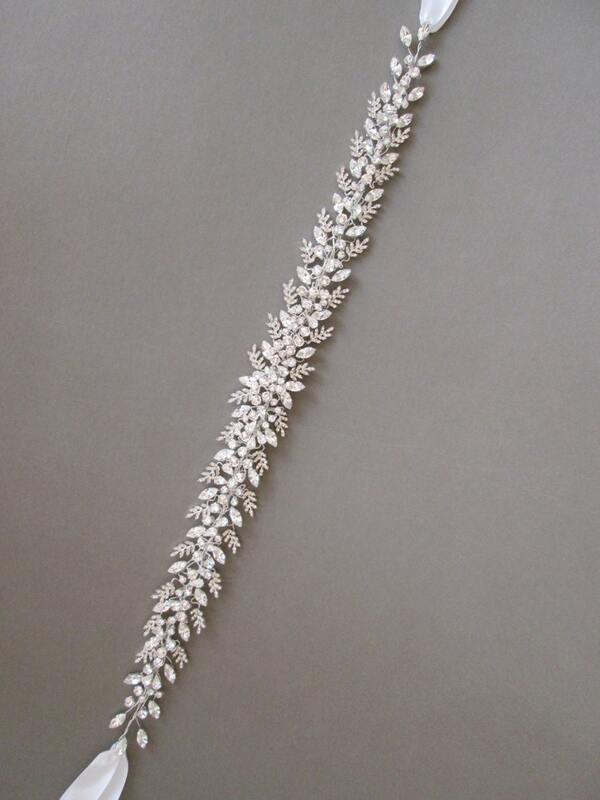 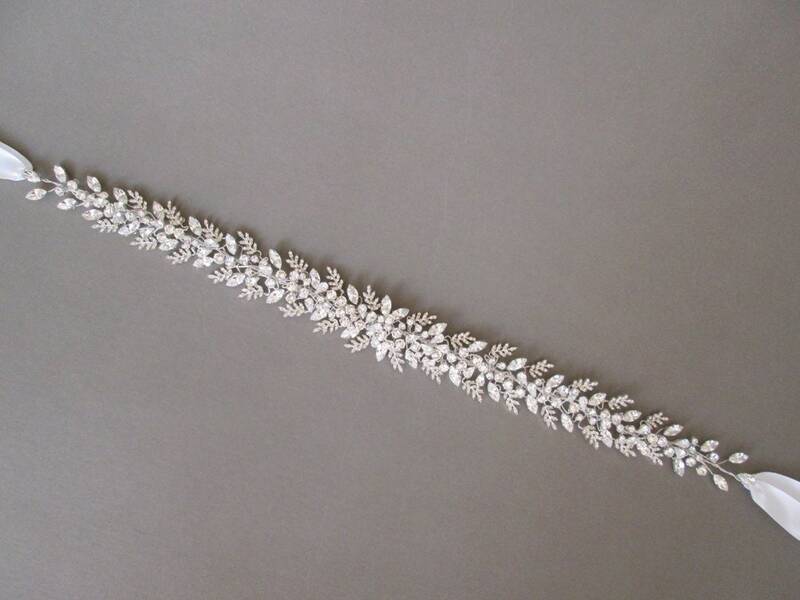 This exquisite and unique bridal belt design is created using the finest materials available. 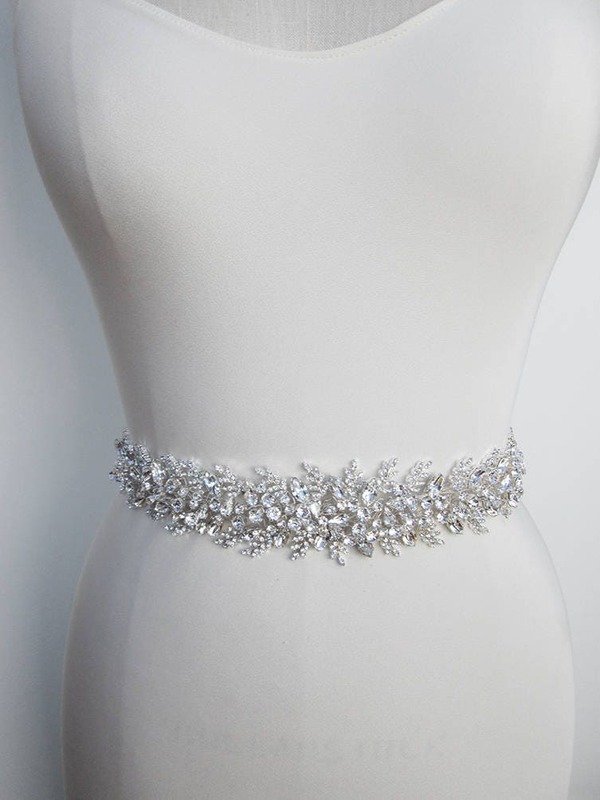 This sash has a floating effect where the crystals are floating on top of your dress allowing the fabric to peak thru the belt. 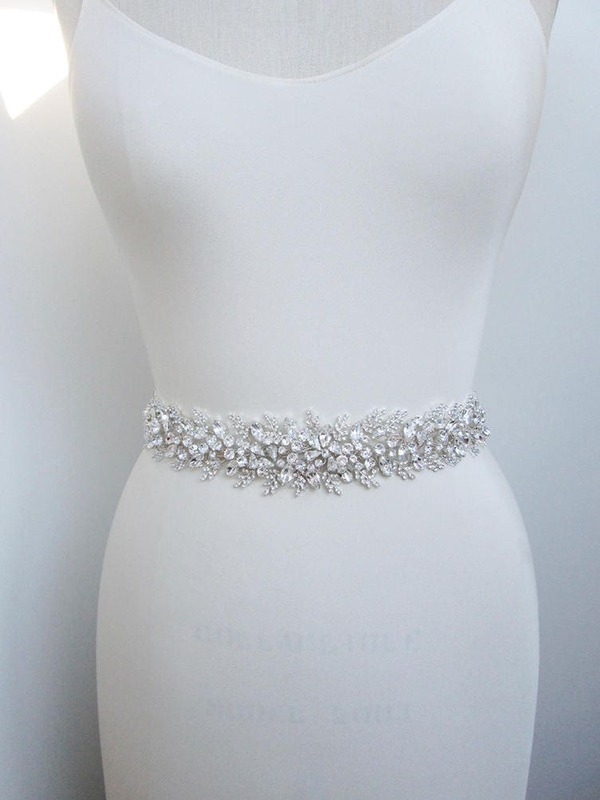 The entire sash measures 160" long, the ribbons in the back measure 1" wide. 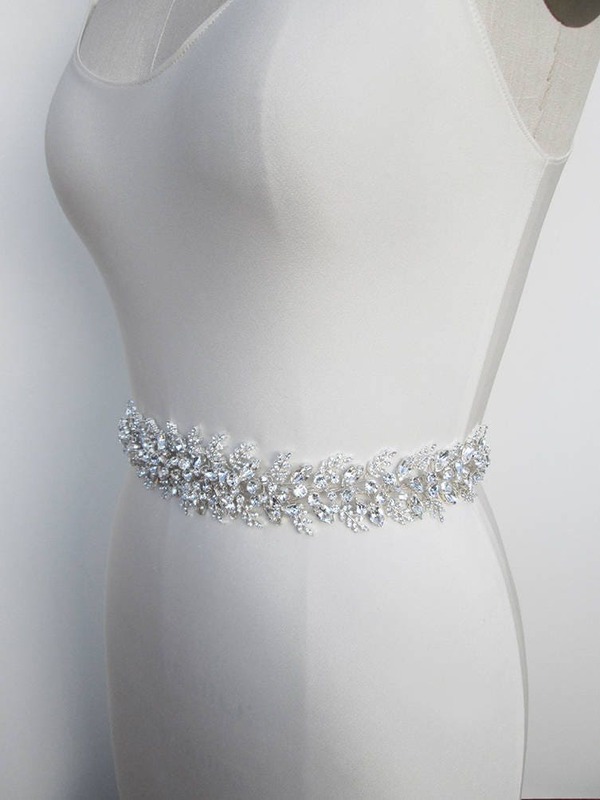 The crystal part measures about 1 3/4" wide and 21" long.